(Seychelles News Agency) - Air Mauritius says it intends to resume connecting flights to Seychelles in July, the Seychelles Civil Aviation Authority said on Tuesday, a move that increases the competitive pressure on Air Seychelles. Speaking to SNA, the Authority said that Air Mauritius would be providing services on the two days -- Mondays and Sundays -- that Air Seychelles does not have connecting flights between the two island nations. "Air Mauritius has informed us of their intention to resume connection with Seychelles in July, but we have received confirmation," said Florence Marengo, head of the transport department at the local Civil Aviation Authority. The confirmation of Air Mauritius flight connections to Seychelles was first reported by the Mauritius Broadcasting Corporation (MBC) online service on Tuesday. 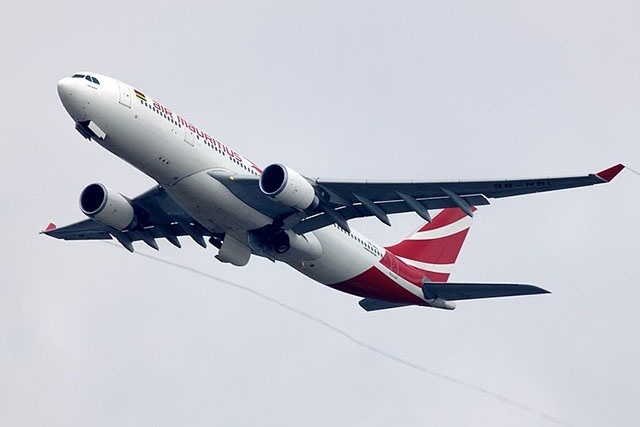 SNA contacted Air Mauritius to find out when the Air Mauritius flight connections will start; the airline said that for the moment sales details are not available. For several weeks rumours of the new flight connection to Seychelles, an archipelago in the western Indian Ocean, were circulating on social media. Air Mauritius, which previously flew to Seychelles, decided more than 15 years ago to stop for economic reasons. An official from Air Mauritius was in the Seychelles recently to hold talks with aviation and tourism authorities. However, last Thursday, the Minister for Tourism, Civil Aviation, Ports and Marine, Didier Dogley said that there is still no confirmation that Air Mauritius will start flying here later this year. Dogley said that in spite of rampant rumours, no official documents have been received by the Seychelles authorities regarding this matter. The minister had pointed out that if this information was to be confirmed it will not be good news for Air Seychelles. “If Air Mauritius starts flying to Seychelles this will impact greatly on the revenue Air Seychelles will collect in the future on that route, if they operate here three times weekly then it will take away the income that Air Seychelles would have received for these flights,” he said. The Seychellois company which had a monopoly on this link will have to revise its prices which are currently around €400 for the two hours and thirty minutes flight. In his state of the nation address in February, the Seychelles’ President, Danny Faure talked about the competitive environment that the national carrier Air Seychelles is currently facing and the need for the government to provide support.